When Accor Hotels recently asked me to participate in the 'A Tale of Three Cities' competition, either by creating a blog post or video around the theme ‘Three things I love about my favourite city’, I spent a lot of time deciding which city to choose. As someone who loves to travel, it was really hard to pick one city. Whenever I visit a new city, I seem to fall in love with it. Every single city I have visited so far has spurred excitement and happiness in me, so how could I pick just one. But then is a competition and has its own set of rules. So, after much deliberation I decided to go with a city that I love a lot and would love visiting again and again - Venice. Venice, as most of you would know, is a city in the north-east of Italy. It is essentially a group of over 100 small islands that are separated by numerous canals and linked by an equally large number of bridges. The entire city is listed as a World Heritage Site. I fell in love with it the moment I set foot in the city. You must have heard of cities across the world being referred to as 'Little Venice' or 'The Venice of so-and-so country'. However Venice has a charm and beauty that is unmatched by any other city in the world. It is unique and magical. 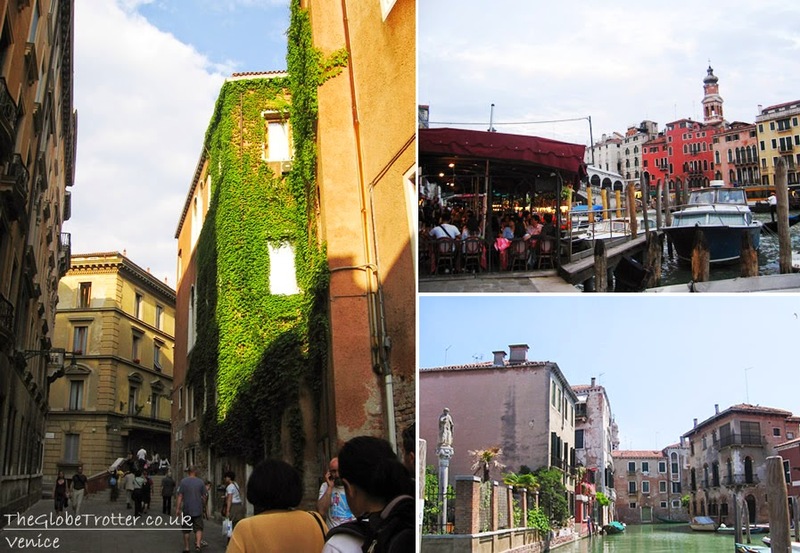 While there are multitudes of reasons why I love this city, listed below are the top three reasons why I would love to visit Venice again and again. While many of you might disagree with me on this, I rank this as the top reason because I totally enjoyed this aspect of Venice. Buses do run from the airport to the main bus station square but the city street network is completely free of cars! No cars, no traffic jams. Venice is an extremely walker- friendly city and not a very big one, so you can walk from one end to the other in a matter of few hours. Maps are available in most shops but the narrow paths themselves are very well marked with arrows pointing in the direction of the major landmarks - Piazza San Marco or Rialto Bridge. The best part about walking in the narrow streets of Venice is discovering beautiful art and architecture at every turn. Whether it is one of the numerous churches and museums, piazzas or the neighbourhood shops and restaurants, every turn is guaranteed to leave you amazed. 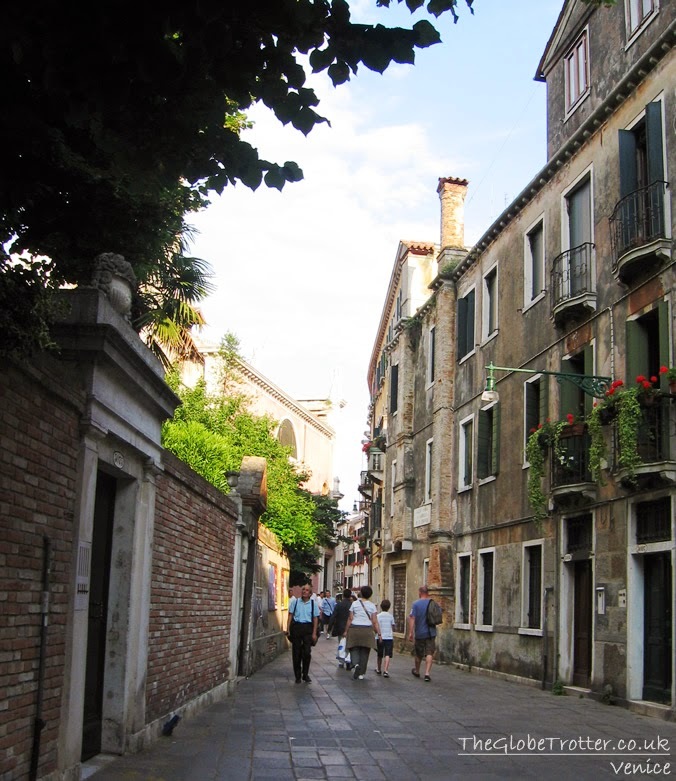 Walking along the maze-like narrow streets of Venice is the best way to experience the magical city at its best. And I absolutely loved it. 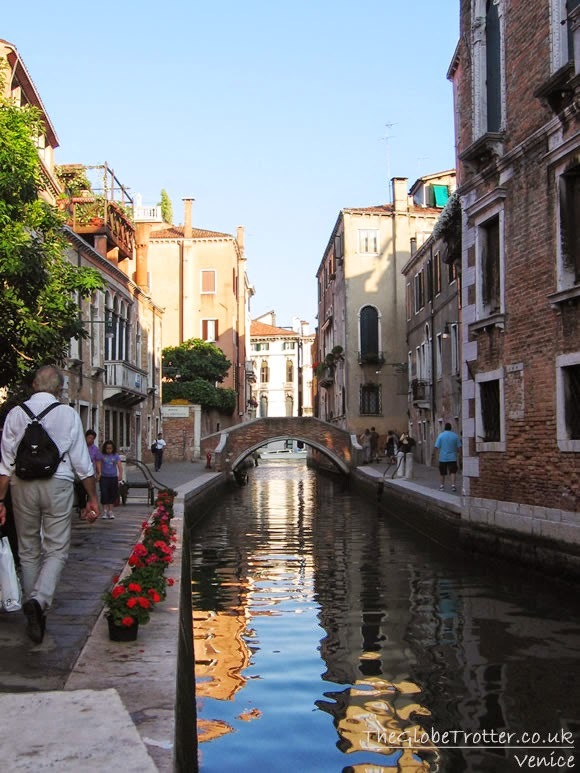 Venice is also often referred to as the 'City of Canals' and rightly so because the city has over 170 canals. 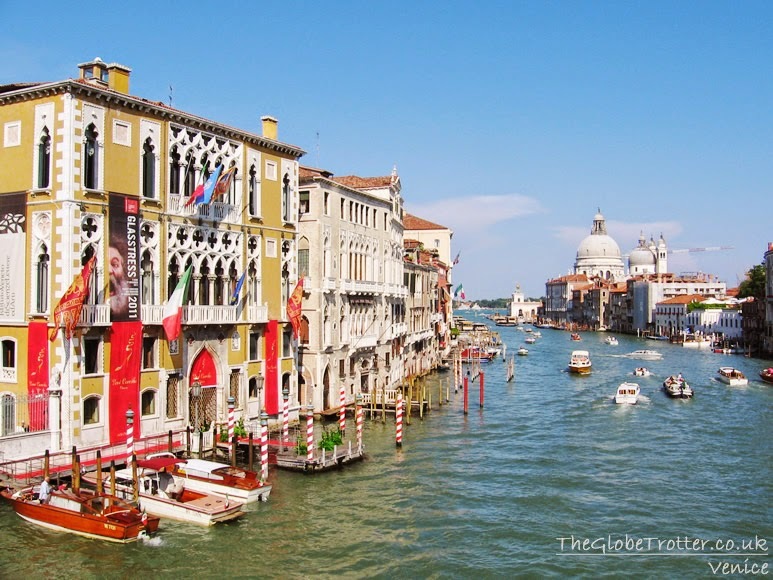 The most important is the Grand Canal which is around three kilometres long and runs through the heart of Venice. 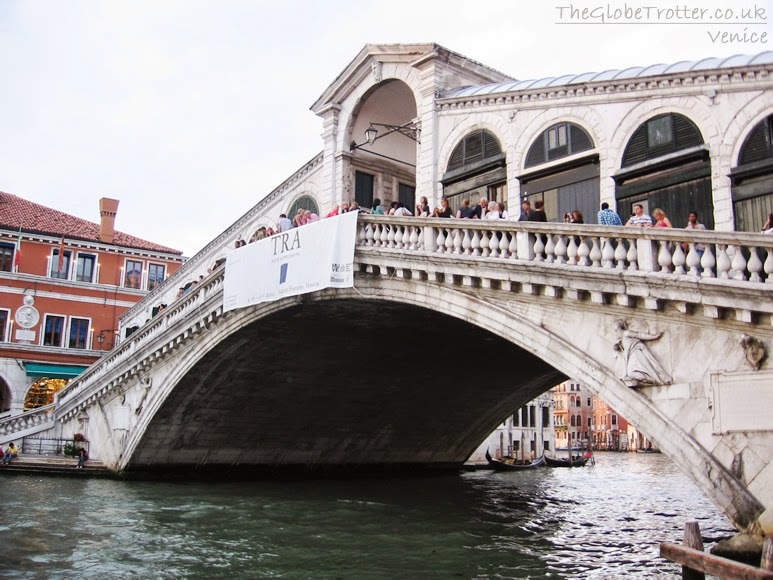 While there are numerous bridges for pedestrians, the canals are the main water-traffic corridors in the city and you will find both public and private transport in the form of water buses and taxis. 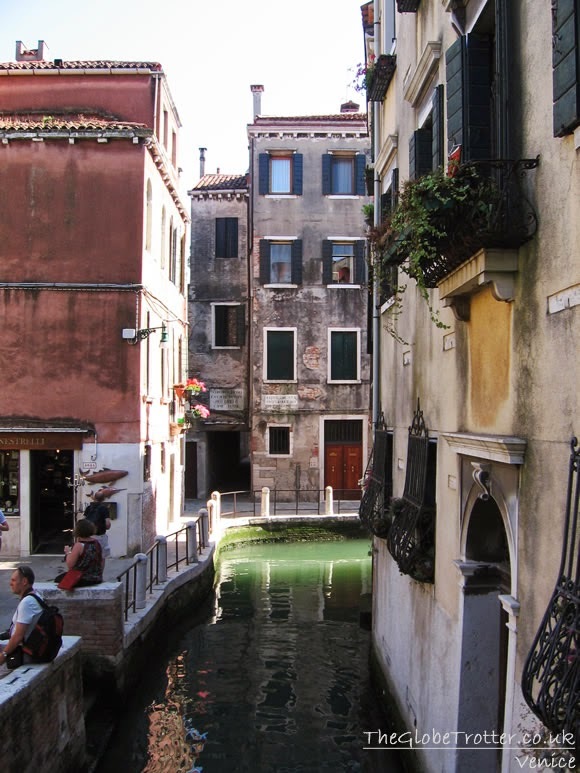 But the most romantic way of getting around in Venice is gliding down the narrow canals in a traditionally decorated gondola, enjoying a serenade from a musician on board. 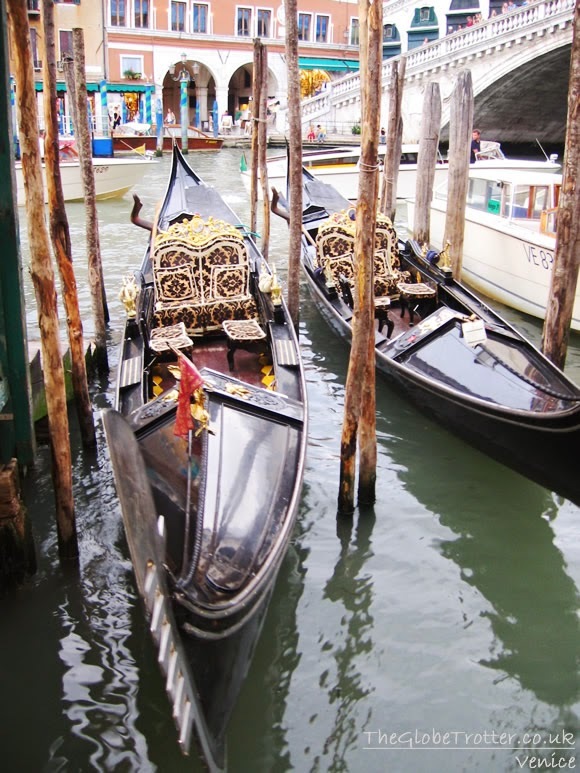 Venice and its gondolas became very popular in India when it was featured in a song sequence in a Hindi film - The Great Gambler. The movie was released in late 1970s and I had grown up listening to that song. So, visiting Venice and enjoying a gondola ride with my husband was a very wonderful experience for me. Even if you are not a romantic at heart, you are sure to enjoy the gondola ride as you drift past many of the iconic attractions of the city. I love ice cream and Venice gave me an excellent chance to indulge in the sweet stuff. Gelato (Italian style ice cream) while not as dense as the traditional version, is equally if not more delicious. And the best part was the availability - practically every street or passageway would lead to a gelateria! While in Venice, we visited a large number of gelaterias and had gelatos for breakfast, lunch and dinner every single day. With flavours ranging from chocolate to orange, toffee to watermelon, chilli to bussolà, Venice is a gelatoholic's paradise. I still remember the smooth, comforting and dense texture of Venetian gelatos! There are many other reasons why I love Venice but the three listed above are the top reasons why Venice is my favourite city. What about you folks? Which is your favourite city in the world? 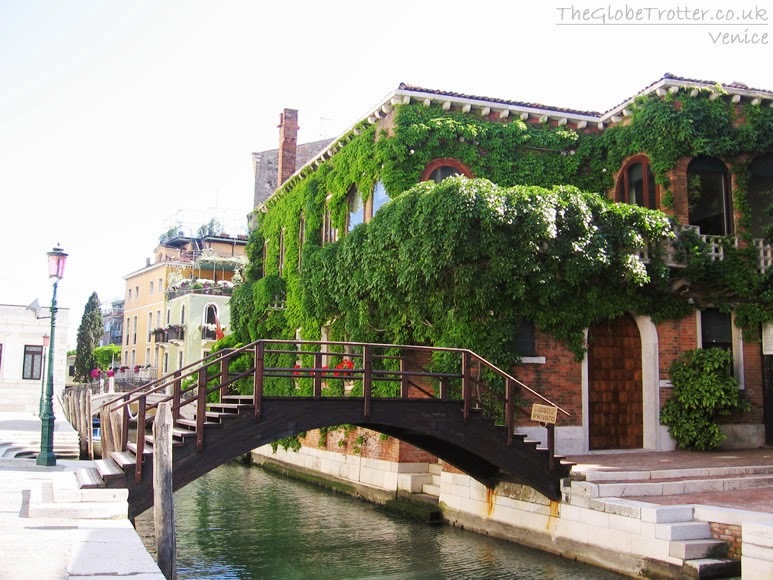 My dream is to visit Venice, it is so beautiful!